Riding a wave of popularity from a recent face-off with Pakistan, Indian Prime Minister Narendra Modi has launched his party's general election campaign with the promise of a "new India"
"This country has seen governments that only made slogans, but for the first time, government that knows how to demonstrate it "Modi said at one event in Meerut City, Uttar Pradesh state. .3 billion people have already made up their minds. Once again, a modi government is going to be formed in this country, "he chanted for another term for Modi. 19659005] The ruling coalition led by Modi's Hindu nationalist B haratiya Janata Party (BJP) is widely expected to retain power in the staggered election beginning on April 11. 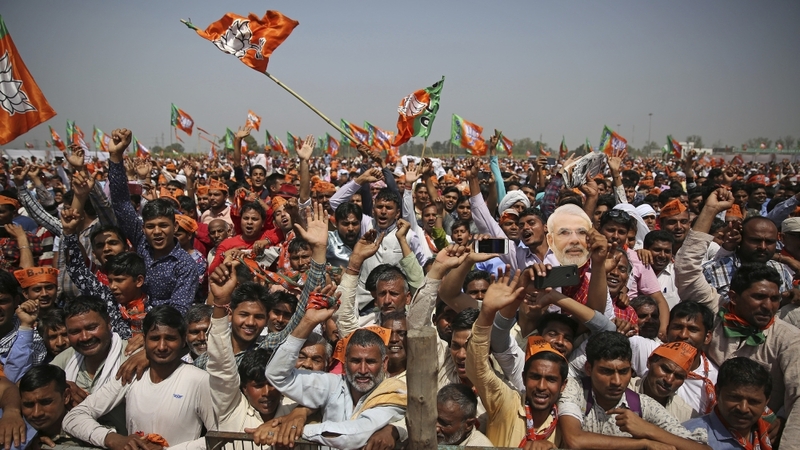 A recent escalation in tensions between India and its neighbor and rival Pakistan is expected to boost the BJP's chances of re-election. Deaths last month after a suicide attack in Indian-administered Kashmir killed more than 40 members of India's security forces. Shortly after the attack, a video of the bomber emerged in which he had alleged allegiance to Pakistan-based armed group Jaish-e-Muhammad (JeM). "[Be it] land, sky or space, my government has shown courage to conduct surgical strikes in all spheres, "he said. 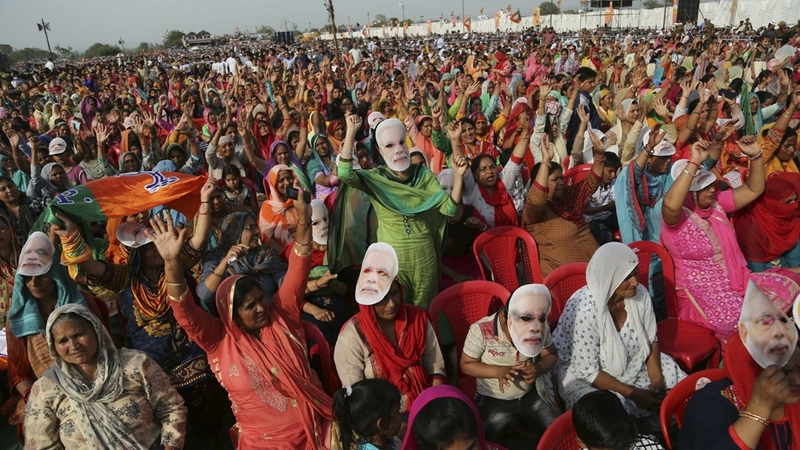 Modi's economic record has also come under steady attack from a resurgent opposition, while the BJP's main rival, the Congress party, which had dominated Indian politics for decades, has accused the prime minister of stoking nationalist fervor to curry votes. 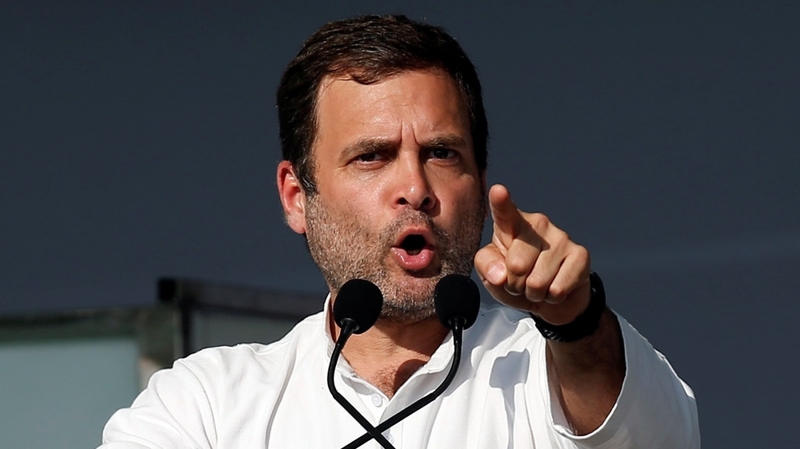 Congress party leader Rahul Gandhi – the scion of India's unofficial first family – has relentlessly attacked Modi for failing to fulfill his 2014 election promises, pointing to rising unemployment and farmer suicides. Gandhi has offered 50 million of India's poorest families – an estimated 250 million people – guaranteed basic income of $ 1,000 a year, if he wins power on May 23. Bhawesh Jha, founder of CNX, one of India's largest polling companies, estimated that many voters in relatively poor and populous states – Rajasthan, Chhattisgarh and Madhya Pradesh – where Congress won power in local elections last year, could be swayed by the handouts. "Even if 4-5 percent of voters go in favor of the Congress, it will be a big disaster for the BJP," Jha told the Reuters news agency, adding that it would particularly help Congress where it is a direct contest with the ruling party. "I think this could be a game changer."